Last Thursday, Objet Ltd, one of the leading 3D printer companies, filed with U.S. regulators for an initial public offering of Class A common stock. In a filing with the Securities and Exchange Commission, the company said J.P.Morgan, Goldman Sachs & Co and Needham & Co would be underwriting its offering. The the IPO is expected to raise in the neighborhood of $75 – 100 million, valuing the company at $500 million, and is anticipated for a late April or early May offering. As an owner of 3D Systems (DDD) and Stratsys (SSYS) shares, I was excited with the thought of being able to also invest in Objet as well. But alas, there is rumor that the IPO may never see the light of day. According to the rumor in YNET.com and other reports I’ve seen, Objet could be holding acquisition talks with “a large electronics corporation” and that one of the interested companies may be HP, with which Objet “works in close collaboration.” The purchase price is in the area of a half billion dollars, and I’ve read elsewhere could be as high as $800 million. This compares to the valuations of 3D Systems and Stratasys of roughly $1.2 billion and $800 million, respectively. Objet generated $150 million in revenues in 2011 and is reported to have been profitable for many years. 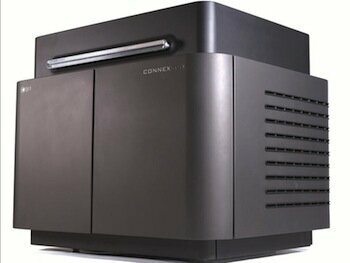 3D Systems earned $230 million in 2011 and Stratasys earned $155 million. Objet holds 110 patents and patent pending inventions. As a comparison, 3D Systems holds about 360 patents and Statasys almost 200. Disclosure: already long DDD, SSYS and purchased more shares today. Also added shares to my holding in 3D bioprinting startup, Organovo (ONVO, pick sheet) today.